Shakespeare's comedy features the courtship of Petruchio and Katherina, the play's namesake head-strong "shrew." Other characters include Lucentio, Hortencio, and Christopher Sly (who is the drunken tinker for whose benefit this "play in a play" is staged in the Induction). 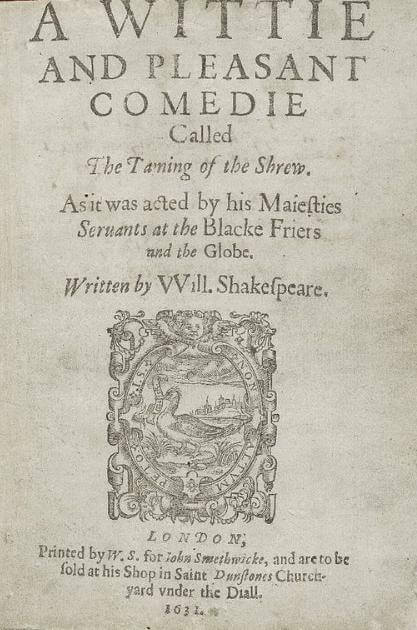 Shakespeare wrote The Taming of the Shrew after Romeo and Juliet , between 1590-1592. 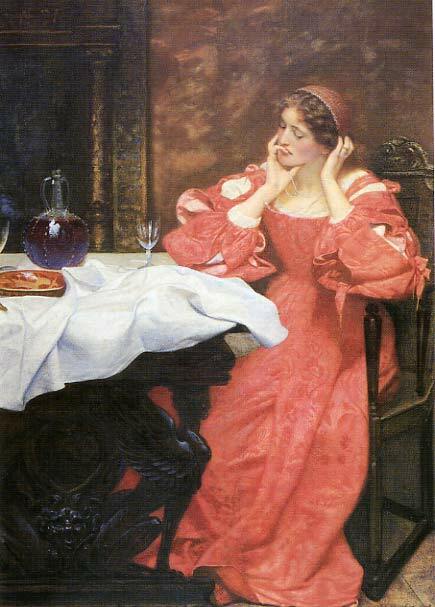 Painting by Edward Robert Hughes, The Shrew Katherina, 1898.